Located in Castle Rock, Colorado, it was opened in 1959, and was 2.8 miles in length, and also included a 0.5 mile banked oval and a drag strip. 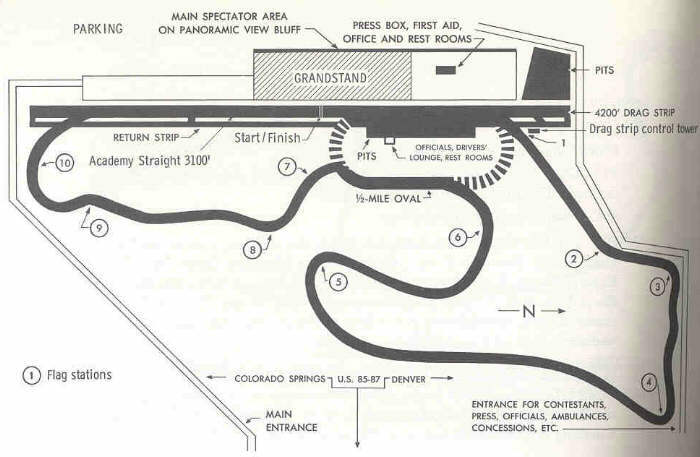 It was originally planned to be the "International Columbine Sports Center" (a defunct plan to build a spectator venue for most major sports in Denver), but became a motorsport venue after a hill climb was staged on a dirt road running through the property in 1957. It was taken over by the Colorado Motor Raceway Inc, which raised money via a stock offer, and built the circuit complex.